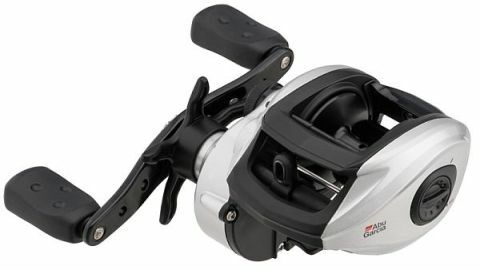 Abu MaxToro are outstanding boat reels upto 20lb class - the perfect partner for modern day light boat rods! For all of your heavy-duty applications, the MaxToro delivers high performance features specifically engineered for casting larger baits and fighting hard pulling fish. A one piece graphite frame construction allows for a surprisingly compact lightweight design, while still incorporating the powerstack drag system, that will stop any fish.